You are a Sports Management student. You picked out the best school and you have been studying hard to work toward your graduation day. But when the day comes when you are thrust in the real world, will you have the tools you need to make it in the sports industry? How well do you know the industry? Who do you know in the industry? Who knows you? What type of experience do you have? The following is a list of the top 10 resources that every sports management student should utilize to help answer these important questions and launch a career in sports. Largely considered “the Bible of sports business,” Sports Business Journal is a must read for anyone in the sports industry, and anyone looking to break into the sports industry. The Sports Business Journal covers all areas of sports, from Marketing and Sponsorship to Media, from Labor and Agents to Facilities. Regardless of your area of interest, you’ll have all the latest industry information at your fingertips. While this is not a free resource, Sports Business Journal does offer generous student discounts. The North American Society for Sports Management is a membership organization designed to support professionals in the sports industry. According to its website, “The purpose of the North American Society for Sport Management is to promote, stimulate, and encourage study, research, scholarly writing, and professional development in the area of sport management – both theoretical and applied aspects.” Membership in NASSM is open to current sports professionals and sports management students. As a member you will receive benefits such as discounted NASSM Conference fees, subscription to the Journal of Sports Management, and a yearly issue of Sports Management Education Journal. As part of your membership in NASSM, you will receive bi-monthly issues of the Journal of Sports Management. 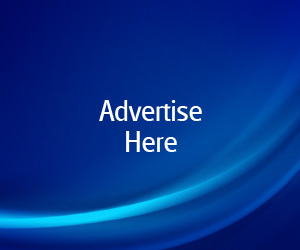 The Journal features scholarly writings and research in many areas sport, including marketing, sponsorship, sport tourism, consumer behavior and organizational theory. This is a very valuable resource for any student to keep abreast of developments in the field of sports management. Workinsports.com is “The #1 job board in the sports industry.” With over 5800 employers, 2600 sports jobs, and 550 internships currently listed, Workinsports.com can help you find the perfect internship to gain experience and build your resume. It should also be your number one resource for finding your dream job after graduation. Created by Lewis Howes, the Sports Executives Association is new place online for sports executives from around to world to gather and share ideas and build their networks and businesses. It is also a great place to students to get in on the action by interacting with top executives, learning about the industry, building a network that will help lead to amazing opportunities after graduation. As one the leading sports conferences, the Sports Industry Networking Conference is an annual event that features some the top executives in the sports industry. The conference regularly invites students and recent graduates to the event to meet the biggest names in sports and help build strong networks. Students have the opportunity to hear keynote speeches and participate in panel and roundtable discussions. For any students interested in working in collegiate athletics, NCAA.org is a must-visit site. The Job board features job listings from all NCAA member schools, along with a search function that allows you to refine your search to find exactly the job you want. Students also have the ability to post their resume to allow schools search and find the perfect candidate…You! 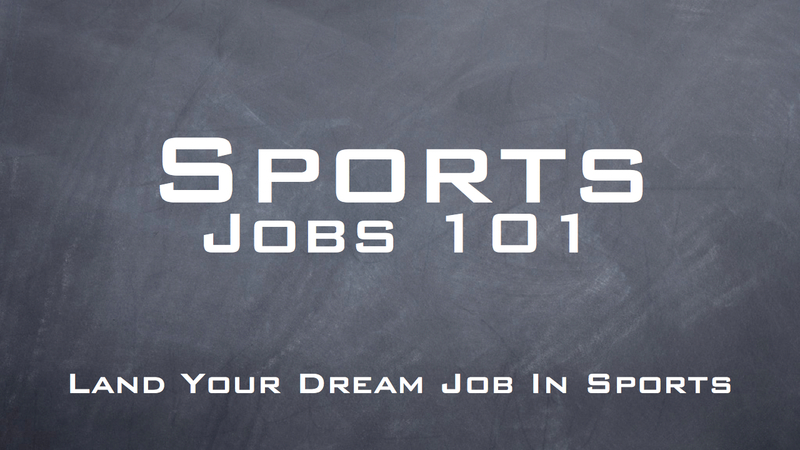 SportsCareers.com is much more than just another job board. 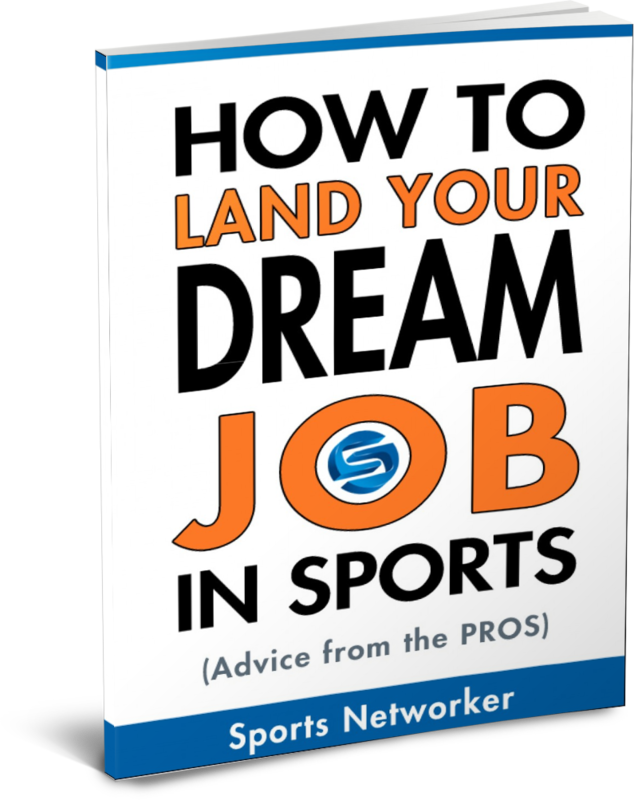 While they feature thousands of sports jobs, SportsCareers.com also brings you valuable content aimed at helping you develop your sports career. Teamwork Online is another sports job board, but with an added, unique twist. Teamwork Online has what they call “Call an Audible,” which provides job seekers with an audio job description directly from the person doing the hiring. They also have multiple search features that allow a job seeker to sort jobs by location, job type, and sport. The Business of Sports is an industry specific blog that features tons of content to help any student up to date with the sports industry. Whether your interest is sports marketing, advertising, ticket sales, or social media, The Business of Sports will keep you in the loop. Great post. What your feeling on the Sports Business Education Network (sben.org) as another resource for Sport Management Students? I'm not familiar with this network but I checked it out and It looks like an awesome resource. In fact, I just signed up! Thanks! Slick user interface, very easy to use, loaded with features. Great post, Matt! Take a look at http://www.sportsbusinessu.com as well. Maybe it can be on the next list! – No who’s viewed me (we found this a little odd – this is an important feature they are missing). I felt it was my duty to straighten him out on this topic. do is drop hints to remind your ex of the great times you had together. able to be in a balanced, committed relationship. Awesome! This is what I was looking for. I’m doing my PGDM from UTM University and looking for such study materials. Thanks for the sharing it, please keep coming with such a great articles. Thanks for this information, I would like to inform you about a new program introduced by very few universities called Sports Management. I hope you must have heard about UTM,Shillong it is one of the best universities offering PGDM in Sports Mgmt. This program is made to cater to the escalating demand for Sports management professionals, UTM offers an inter-disciplinary program designed to impart training in Sports Marketing, Management, Advertising, Ethics, and Media Relations. The program will translate the students’ passion for sports into professional skills to manage the business as well as the marketing aspects of Sports and allied disciplines. To manage your association and the information of all your members, I would recommend RowShare. It’s a very simple tool that allows you to create easily a table for collecting information (& various files), a competition schedule or a group order. You can share it, and work on it in the same time that your members. To be honest, I feel I need to let you know that I work as intern for the company that develops RowShare, but I think it’s a good way to make administration of an association or club. The platform allows members to add their information. A time saver for everyone! I have been in the industry for 17 years and still not in my career in Sports Industry. If there are contacts I can speak to I would appreciate it. Great post! This is what I was looking for post graduate diploma courses in sports . I am very interested in getting an internship and experience in sports industry. I don’t have any degree in sport management. Do you think these resources would be enough to get it started?